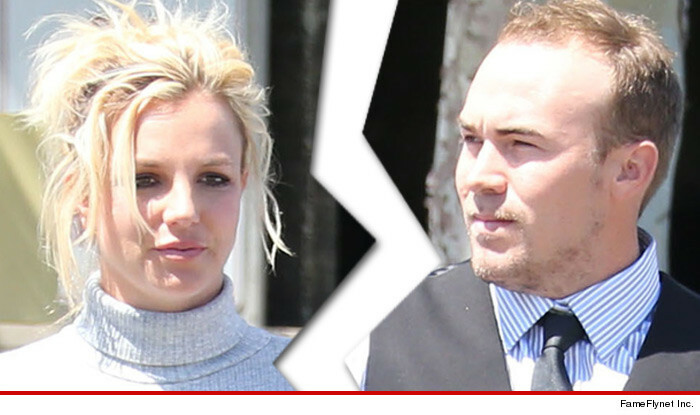 Britney Spears just dumped her boyfriend of 18 months ... after finding out there's a video of him cheating on her that's being shopped around Hollywood. We're told David Lucado is seen in the video making out with a woman and dancing with her. It looks like they're in someone's living room. We're told the video was shot in early August. When we called Lucado ... a rep told us, "David is very, very in love with Britney. This is unfortunate and he hopes that it all works out." Well, it didn't. We called Britney's camp for comment, and we were told her father Jamie wanted to say something about it, but wanted to tell Britney first. It appears as soon he told her ... she broke up with David. She just tweeted, "Ahhhh the single life!"